Looking for a good data recovery tool? There are several option in the market but some of them are too expensive. What if I say there is one awesome data recovery software which can easily recover all your deleted, formatted or lost data from your PC, laptop or removable devices absolutely free of cost. Yes, you read it right, it is completely free of cost. 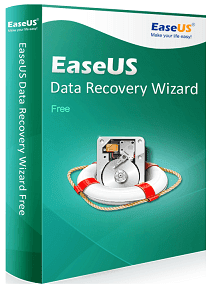 Here is the full review about EaseUS Data Recovery Wizard Free 12.0. It is the best tool to recover all your lost files, pictures, documents, videos, data lost through formatting errors, partition losses, virus attacks, OS crashes, etc. 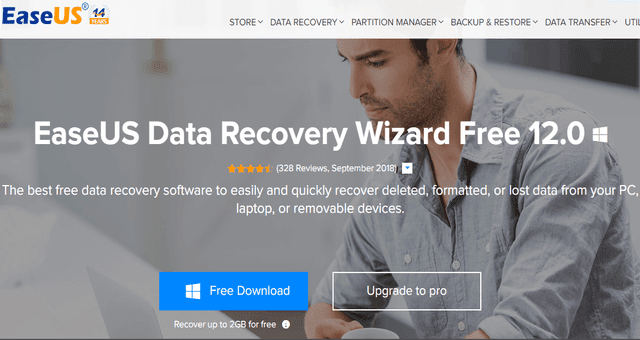 EaseUS Data Recovery Wizard Free Edition 12.0 is an amazing data recovery software to recover all your lost data quickly in few simple steps. It can recover accidentally deleted files, data damaged from formatted hard drives, crash OS or damaged partitions easily. - It recovers all your data lost in formatting. - It recovers data from an empty recycle bin. - It recovers data lost through hard drive damage. - It recovers data lost through virus attack. - It recovers unexpected data lost through accidental deletion. - It does OS Crash recovery, raw partition recovery as well as lost partition recovery. You can recover up to 2 GB of data with this free tool. You get to restore 500 mb instantly, and up to 2GB if you click the share button to share this software with your friends on social networks such as Facebook, Twitter and Google+. With this free version you can export or import your scanning results. You can recover all types of lost files such as photos, documents, videos, audio, emails, compressed files, etc. If you are looking for free lifetime upgrade and technical support then you to buy the Pro version or Pro + WinPE version. - Preview feature for audio and video files. - Faster scanning process to find your lost data more quickly. - Few optimizations required for interactions. Devices Supported: PC/Laptop, External Disk, Hard Drive, SSD, USB Drive, Micro Card, RAID, Pen Drive, etc. As I have already listed several good features of EaseUS Data Recovery which makes it the best data recovery software if you are looking out for a free option. The quality and the speed of data recovery is really amazing. You don’t have to buy a pro version if your requirement is less. You can recover up to 2 GB of data with this free tool. Initially you get instant 500 MB data recovery limit. But if you want more, then you can always share it on Facebook, Twitter or Google+ to get extra limit up to 2 GB.